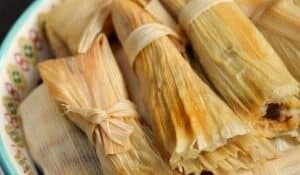 I have a crazy confession to make. Well maybe not a confession per se, but an admission of how incredibly strange my food tastes are. I have never hidden the fact that I do not like spicy food. My taste buds can handle about as much spice as a typical five year old…when we are talking about spices and chile peppers. But when it comes to garlic, the spicier the better! How does that make any sense? 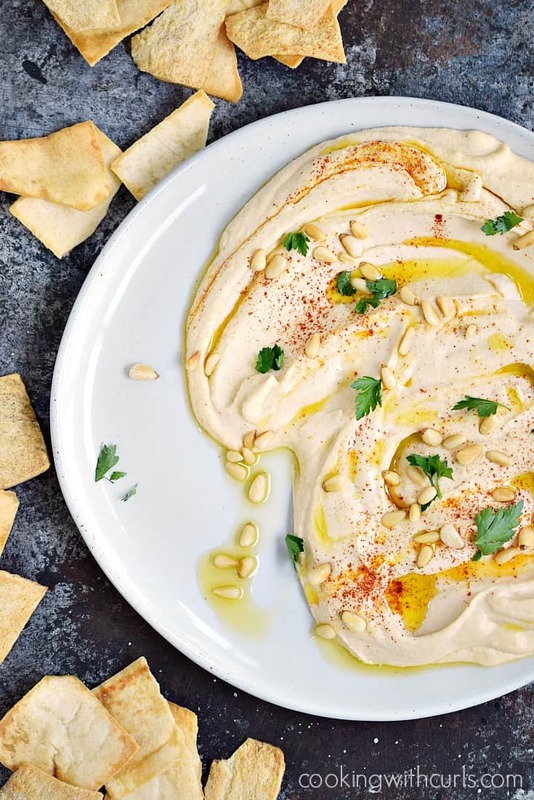 This Classic Homemade Hummus puts this theory to the test….. 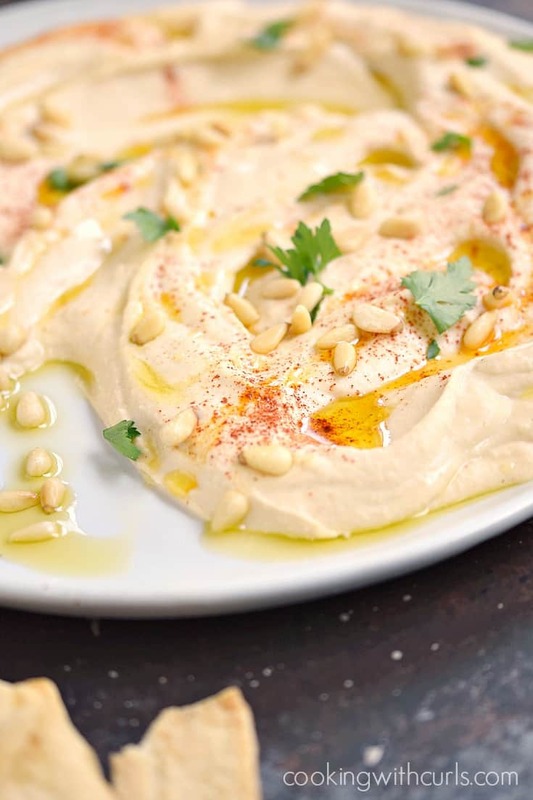 I used 2 large cloves of fresh garlic to make this Classic Homemade Hummus, and I even added a bit of cayenne for added depth of flavor…and it doesn’t faze me one bit. But 1/4th of a fresh jalapeno in my Blender Salsa, and you would have thought I used Habanero peppers!! 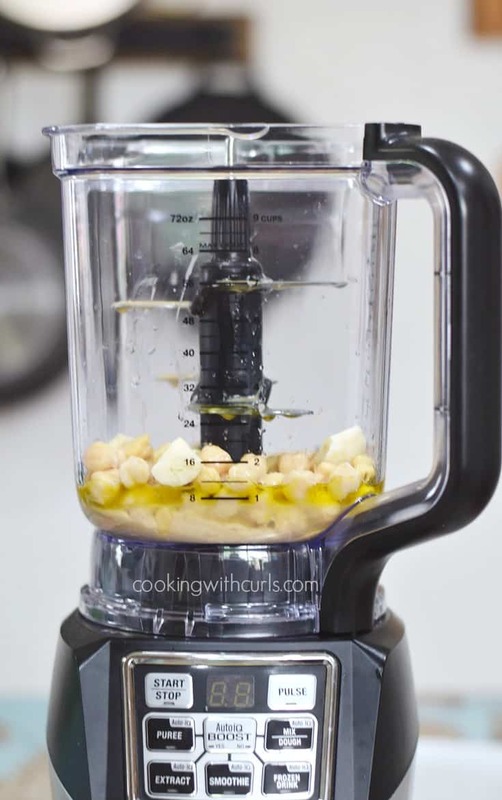 Place the chickpeas, tahini, olive oil, lemon juice, garlic, cayenne, salt and pepper in a blender canister….. This is when you need to decide how much garlic you can handle….I mean like. 😉 You can always start with one clove, taste it, and add the second one if it needs more flavor. Puree to combine. Gradually add hot water until you reach your desired consistency. Taste for seasoning, and serve garnished with toasted pine nuts and paprika….. This Classic Homemade Hummus is perfect served with pita chips, sliced vegetables, or as a spread on a sandwich. So yummy!! This hummus starts out very thick. As you add the water, you will notice that the blender runs smoother or may even speed up. Puree as much or as little as you like. I like extra smooth, so I hit the Puree button 2 or 3 times. Yes, I do use the AutoiQ Boost function. I added the pine nuts as a garnish, because the store-bought version has them…and I like them. Feel free to skip them if you wish. I also drizzled my hummus with olive oil and sprinkled on chopped Italian parsley, but those are optional as well. 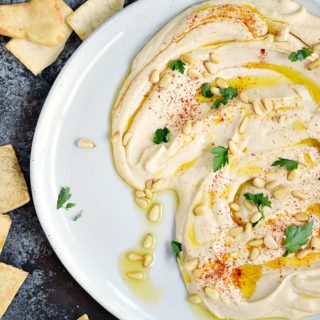 This Classic Homemade Hummus is so good, you won't ever need to buy store-bought again! 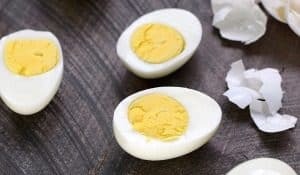 It's thick and creamy, and really simple to make! Drain, rinse, and remove the loose skins from the chickpeas. Place the chickpeas, tahini, olive oil, lemon juice, garlic, cayenne, salt and pepper in a blender canister. Puree to combine. Gradually add hot water until you reach your desired consistency. 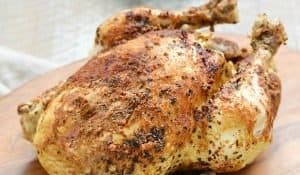 Taste for seasoning, and serve garnished with toasted pine nuts and paprika.